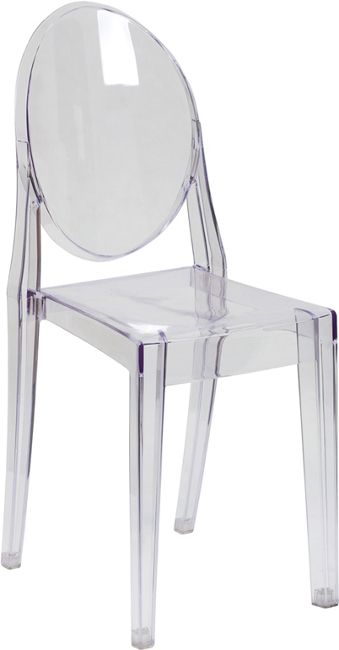 This clear stacking banquet chair is known as a "ghost chair", and is very popular with modern wedding & event design. The crystal clear design will match your "crystal glassware". It will spotlight other decor items as well, like your flower arrangements etc. Great for indoor & outdoor weddings, events, and more!